The self-sacrificing mom: Overflowing with intense baby love, this mommy spent her days selflessly attending to her baby’s needs without a thought of herself … or a shower. The home-manager mom: This mom excelled in home arts, such as cooking, cleaning and meal planning. Organized to a fault, this mom also helped maximize her husband’s income by expertly utilizing coupons, sticking to a budget and finding low-cost solutions for household problems. The frazzled mom: This mommy could barely keep her head above water as she navigated the new territory of postpartum hormones and caring for an infant. Her hair was often in a ponytail, she looked exhausted and, were those perma-tears brimming in her eyes? The glamorous mom: This mom wore pre-pregnancy jeans home from the hospital and looked like she had a hair stylist and make-up artist living in her home. She and Baby were always dressed to the nines as they frequented trendy restaurants, mommy-and-me classes and, of course, the gym. The working mom: This mom returned to work after her baby was born, and while her 8 to 5 day didn’t change a whole lot, she had to navigate the stresses of daycare, surreptitiously pumping in the office bathroom and cramming in all of her household tasks between 6 and midnight. There are more types, of course, but these were a few that I had observed. I knew the types I was not. Not selfless enough to be self-sacrificing. Not organized enough to be home-manager. I hoped I wouldn’t be frazzled mom. I hoped I would be glamorous mom (But who was I kidding?). And I wasn’t returning to my job, so that ruled out working mom. I envisioned myself being a different kind of mom altogether. I hoped to continue to do a little writing and editing as a creative outlet and to supplement my husband’s income. I pictured myself sitting at home in a fluffy white bathrobe, sipping coffee and working on my laptop, while my infant son sat contentedly in his bouncy seat. Around noon, after accomplishing an impressive amount of work, I would dress him up in one of his cute outfits and we would meet my husband for lunch. Then we would return home and I would tidy up the house and make dinner while my little angel slept. Now I admit, that vision was a bit idealistic. But I definitely went into motherhood with expectations—who I would be and who I wouldn’t be. When life didn’t unfold in exactly that way—babies seem to have been created to interrupt (though there is no sweeter interruption in life! )—I soon became frustrated. My picture of motherhood wasn’t happening. 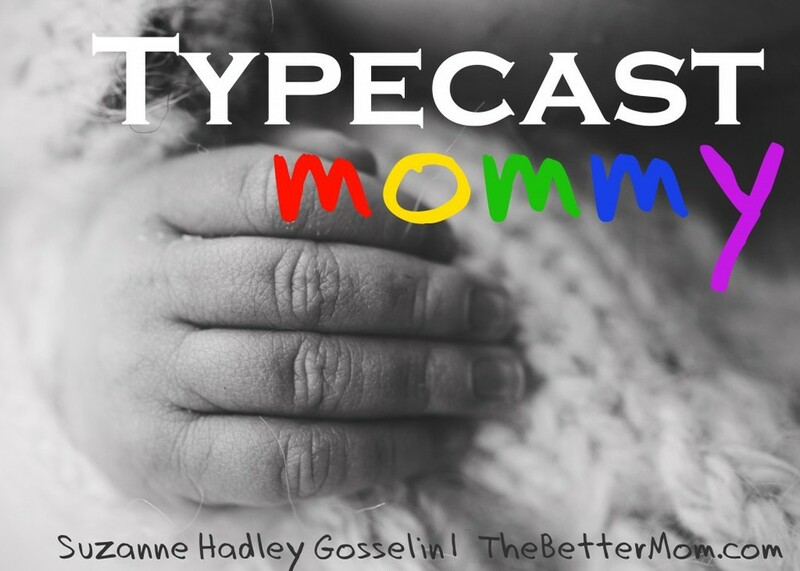 I think new moms have a tendency to “typecast” themselves before they have a baby. One friend said, “I thought I’d be the adventurous mom, taking my baby everywhere. But she had terrible colic for the first six months, so we never left the house.” Another friend admitted that she had once believed she was too selfish to be a mom. “I liked my lattes, alone time and nice clothes too much,” she says. “Now I do my make-up in the car on my way to work.” Still another friend imagined her role as a mother—staying home and caring for her daughter—to be what she had been born to do. When she had to return to work for financial reasons, she felt like her calling as mother was put on hold. As you can see from these examples, there are too many variables in motherhood to accurately predict what “type” of mom you’ll be. And the truth is, each mom is her own unique combination of types. As a brand new mommy, I was “frazzled mom” more than I would have liked. I remember dropping my infant son off at the church nursery with tears in my eyes from a stressful morning and receiving a tissue from a compassionate worker … more than once. But you know what: God had a different plan for my motherhood than I did. He intended to refine me and make me dependent on Him as I learned to take care of this new little person He had created (and blessed me with). Many times that process has been humbling. But it’s comforting to know that God is shaping me into the exact mother he wants me to be for my children. And His vision for the kind of mom I can be is far greater than my own. Because of that, my days of typecasting myself are behind me. I look forward to the script God is writing for me in my role of mom.